Just you can see the fire"
another practise of colouring :D! Does anybody thought his body is facing to the front? anyway, this is his side body !! haha xD yes that would be dangerous !! 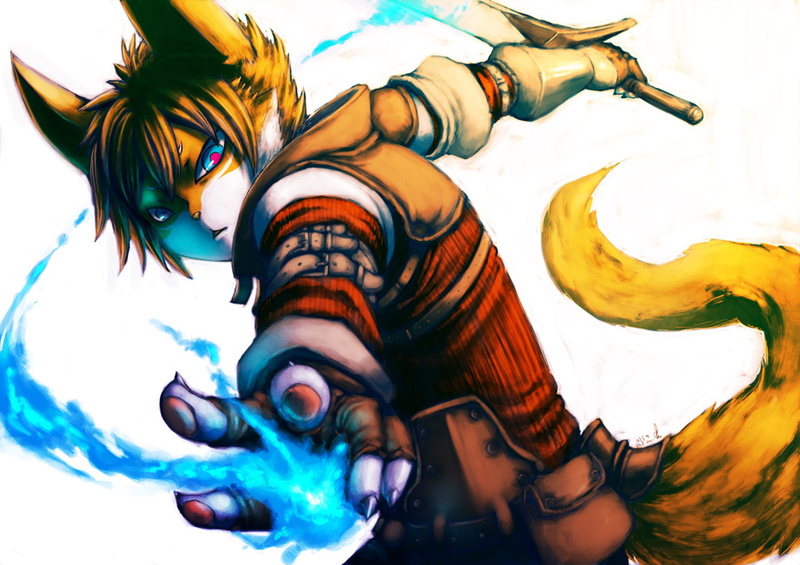 wow amazing job ^^ with the coloring. really like how it turned out. only thing i have to comment on is that i don't think the eyes match the rest of style of coloring, so to me they don't feel like they tie into the picture. Aside from that when you said "Does anybody thought his body is facing to the front?" i know its his side but i think the little bit of leg sticking out on the bottom left and the little circular part on the belt, makes his pelvis look like it might be turned.